As anybody who has spent enough time on the automotive side of the world wide web knows, you can’t have Tokyo Lamborghini hooning without flashing LED lights and Liberty Walk bodykits. For this Halloween, a small group of Lamborghini owners has decided to put on an festive show. 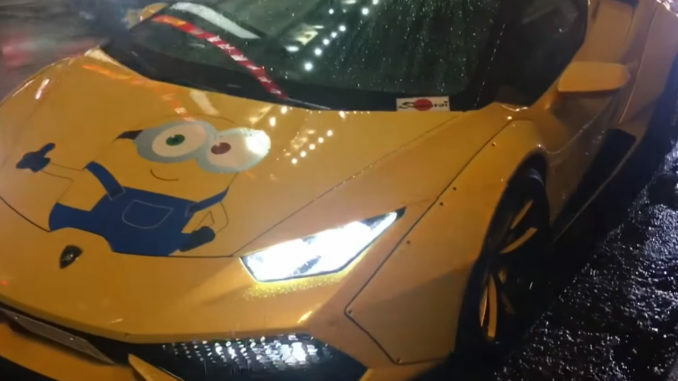 And while at least one car in the convoy was not dressed for the occasion, the drivers of certain supercars also took the theme inside the vehicle, coming up with costumes that matched the wraps on their frunk lids.